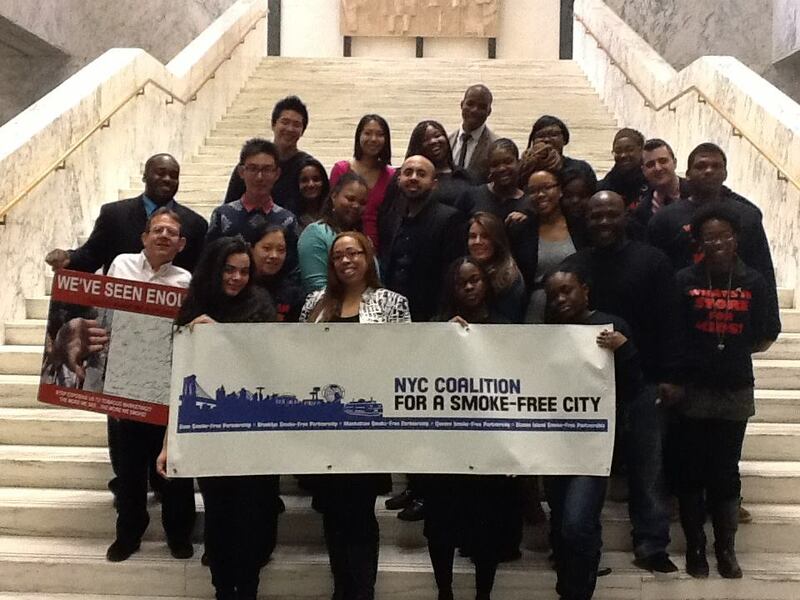 Hundreds of youth in the five boroughs took a stand against tobacco on the 19th annual Kick Butts Day, March 19, 2014. 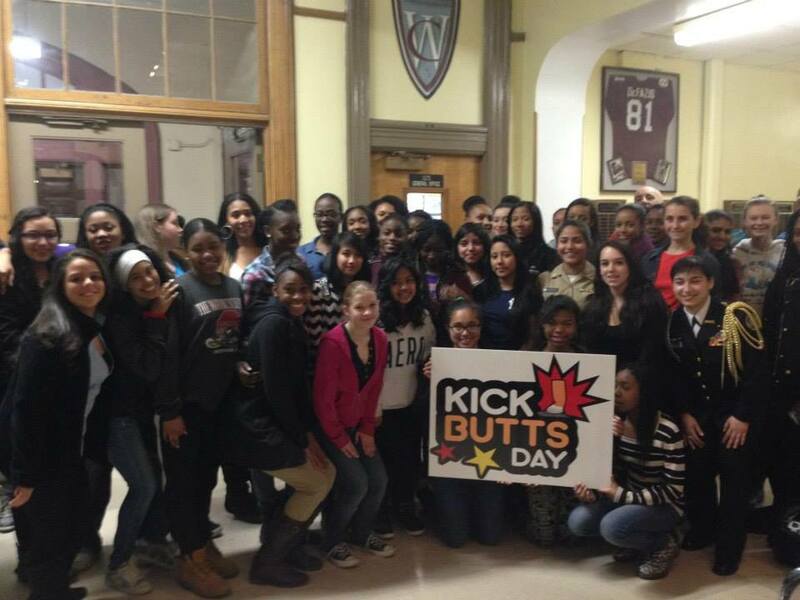 Kick Butts day is a national day of activism that empowers youth to speak out against Big Tobacco. 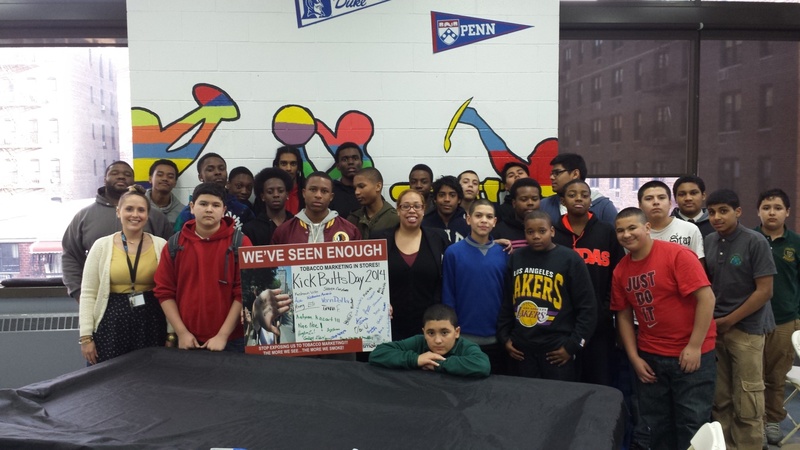 “Through Our Eyes: NYC Youth on Tobacco Marketing‬”, and youth tobacco control advocates talked with their peers about how tobacco marketing can cause kids to start and continue to use tobacco products. Our Brooklyn team along with our partner, the Chinese-American Planning Council (CPC)-Brooklyn Branch, launched a new video whose hero, “Smoke-Free Brock Li”, shows how tobacco negatively impacts health. The CPC-Brooklyn Branch and our Brooklyn team developed the concept for the video with input from over 200 students in the 3rd, 4th, and 5th grades from six public schools. 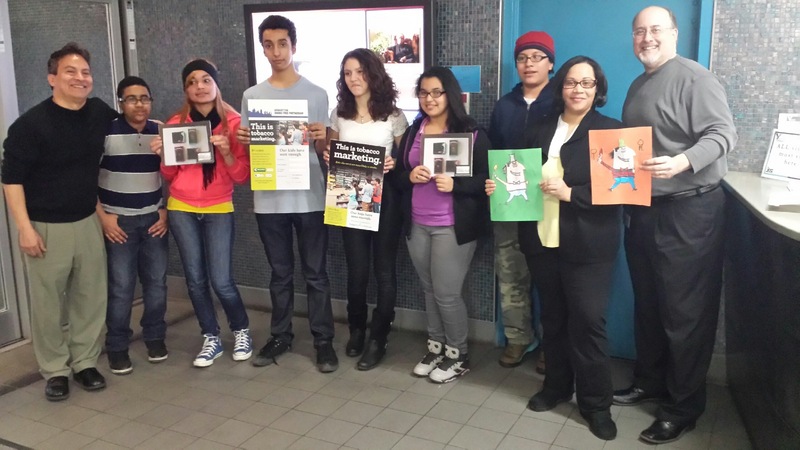 Bronx youth and the tobacco marketing she sees on her way to school. Our Bronx team hit the streets of the Bronx with over 30 youth from Truman High School, SoBRO, the Girl Scouts, and the Bronx Student Advisory Council to survey the rampant tobacco marketing they encounter each day walking in their neighborhoods of Clason Point, Soundview, Baychester, and West Farms. Using the hashtag, #BXKICKBUTTS, youth shared their findings on social media to raise awareness and show their peers how Big Tobacco targets them. Our Queens team and the Boys Club of NY Abbe Clubhouse in Flushing. Staten Island Reality Check at Curtis High School. The Staten Island Smoke-Free Partnership joined Staten Island Reality Check, Staten Island Heart Association Youth Board, and other community partners at a meeting at Curtis High School during which students urged their peers to stay tobacco-free and become tobacco control advocates. Sonya Reyes, the Student Organization President, welcomed Reality Check to her school and encouraged students to take center stage in the fight against tobacco. Partners in the NYC LGBT Smoke-Free Initiative on the first LGBT Kick Butts Day in NYC. Lesbian, gay, bisexual, and transgender (LGBT) youth from all five boroughs joined fifteen LGBT health and community-based organizations at The LGBT Community Center (The Center) for the first LGBT Kick Butts Day in New York City. We marked the occasion by publicly launching the NYC LGBT Smoke-Free Initiative. 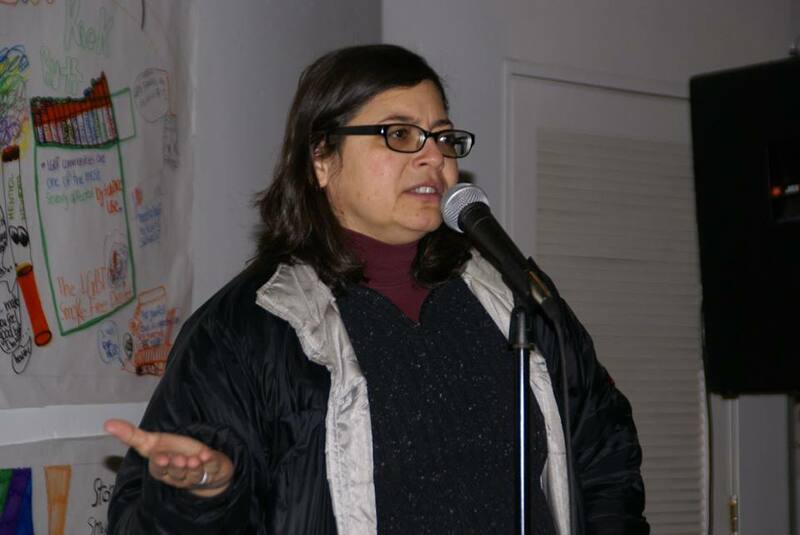 City Council Member Rosie Mendez speaking to LGBT youth. 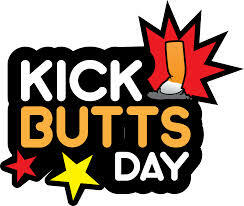 We applaud the next generation of youth advocates who took a stand against Big Tobacco on Kick Butts Day and encourage them to continue fighting for their healthy futures. 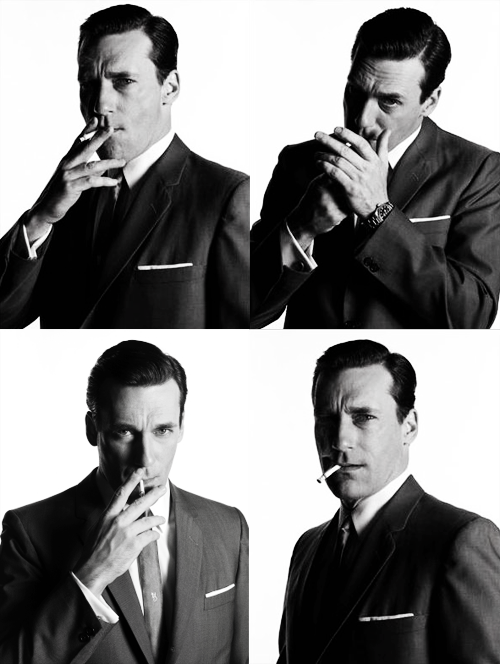 Isn’t that what Big Tobacco is doing with electronic cigarettes? In an effort to avoid the stigma associated with cigarettes, devices which are essentially e-cigarettes are being marketed cleverly as “hookah pens”, “e-hookahs” or “vape pipes”. The marketing would have you believe you’re not smoking and exposing those around you to toxic secondhand smoke; you’re “vaping”, and the vapor you exhale is harmless. Yet, you’re likely being exposed to nicotine, which is highly addictive, and there is no conclusion yet potential risks associated with exposure to exhaled vapor. On February 12, the Coalition joined tobacco control leaders from around New York State (NYS) in the State capital, Albany, to educate legislators on the critical public health need to have well funded tobacco control and prevention programs. Tobacco use continues to inflict a terrible toll on NYC residents, especially many at-risk populations. The working poor and vulnerable populations are disproportionately affected by tobacco use. Tobacco control programs help those who need it most.